Mobile applications have exploded in popularity as consumers grow more and more attached to their smart phones. To the customer, a smart phone acts as a sort of one-stop shop where he or she can do anything from booking a table at a restaurant to buying tickets to the hottest show in town. For the business owner, mobile apps provide nearly unprecedented opportunities to engage the customer and provide personalized service. From major corporations to small mom and pops, companies have begun to embrace the mobile app phenomenon. Here are the top 5 ways your company can grow with the help of mobile applications. Mobile apps make it easy to network your employees, managers, and customers in a real time feedback loop. If your employees travel or work in the field, they can easily log into an app that gives them important updates from the home office, allows them to pose questions to their supervisor or colleagues, and even collaborate on reports. Likewise, your customers can use a mobile app to find out if you have a product in stock, ask questions of your sales staff, or provide instant feedback and reviews. A mobile app takes the experience of digitally interacting with your business from the website to your customers’ digital devices. Rather than having to remember to log in, your clients will see your logo whenever they scroll through their apps. Just putting your company in front of them on a regular basis can increase sales and improve brand loyalty. Providing high quality, useful content further enhances your brand and makes customers more likely to open your app on a regular basis. 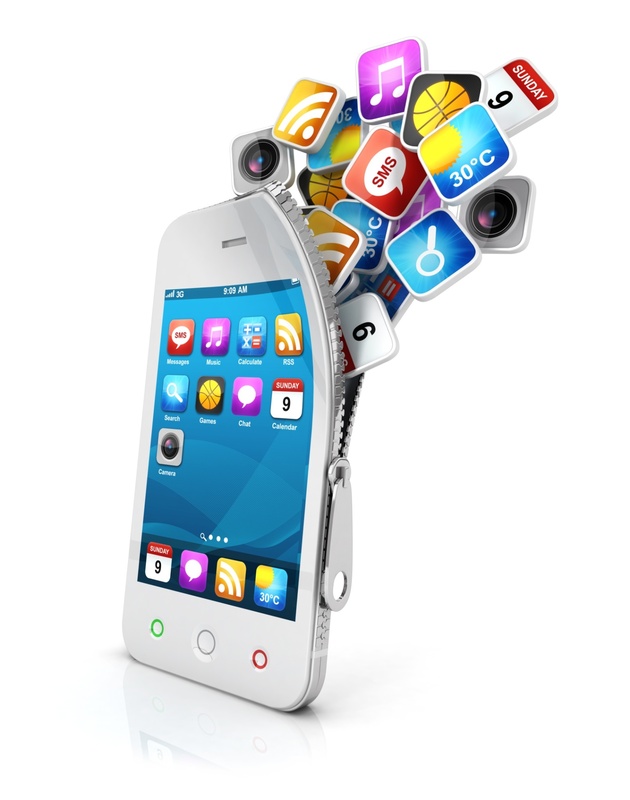 Many mobile apps are designed to help customers quickly solve a problem or gain information. For example, food giant Kraft offers an app that helps customers put together a quick meal. Depending on your line of business, you might highlight your spring collection, let customers try different hairstyles on their own uploaded photo, or allow them to store their credit card information for easy ticket purchases. Mobile apps can also provide easy access to important facts about your company. You can put your operating hours, locations, contact information, and current specials or promotions at your customers’ fingertips, saving them a phone call or web search. In addition, many mobile apps provide a place for potential customers to request more information or set up an appointment—which is particularly valuable if you don’t have someone answering your phone 24 hours per day. Mobile apps are easy to integrate with social media, allowing your existing customers to help spread the word about your business. No matter how good your current marketing scheme is, it’s tough to beat the value of word of mouth. In addition, you can use push notifications to let your customers know of upcoming events, sales, and other important information. In turn, your most loyal followers will tell their friends about these events, encouraging them to sign up and further building your brand. Mobile apps give you access to a wealth of data about your consumers, from what products they shop for to where they are physically located at any given time. This allows you to customize their experience and target specific discounts to the customers who are most likely to use them. In addition, people like to feel like they are part of something exclusive. Offering unadvertised specials and sales events only to those who have the app builds excitement and brand loyalty, and encourages new customers to sign up. To make the most of your mobile app, keep it fresh and updated. Customers thrive on new content, including insider tips, discounts, and helpful information. They also like contests, trivia, and other special activities. Give your customers a reason to keep opening the app, and you will go a long way toward building loyalty and valuable word of mouth.